The EUR/USD currency pair continues moving downwards. 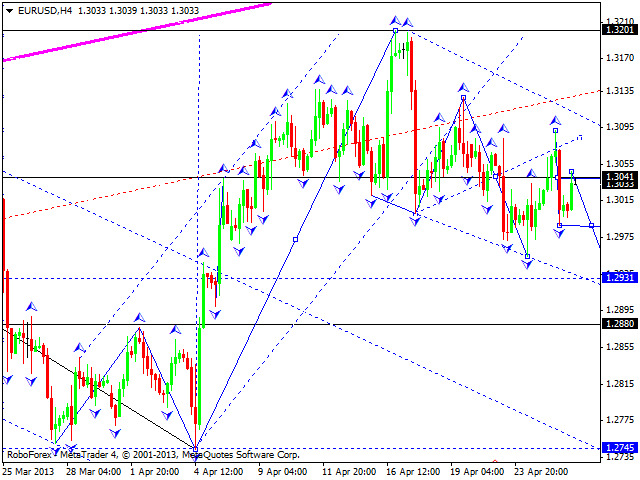 We think, today the price may reach the level of 1.2940 or move even lower, towards the level of 1.2880. 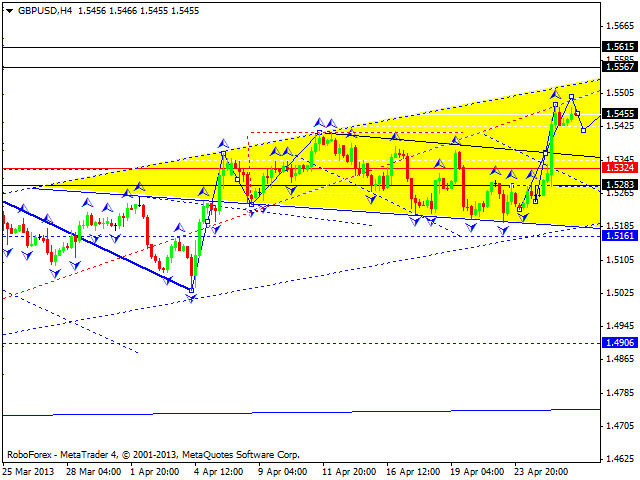 Later, in our opinion, the pair may start forming a new ascending wave to reach the target at 1.3200. The GBP/USD currency pair continues moving upwards. We think, today the price may continue an ascending movement to reach the level of 1.5500, fall down a little bit towards the target at 1.5415, and then continue growing up to reach the target at 1.5565. Later, in our opinion, the pair may start a correction to return to the level of 1.5360 or even lower, 1.5285, and then form a new ascending structure towards the target at 1.5615. 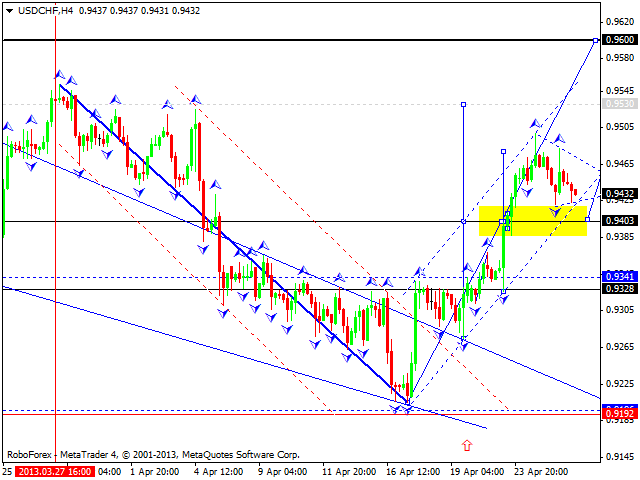 The USD/CHF currency pair reach the minimum of this correction. We think, today the price may continue moving upwards to reach the level of 0.9530 and the start a more serious correction towards the level of 0.9400 or 0.9340. Later, in our opinion, the pair may continue growing up and reach the level of 0.9600. The USD/JPY currency pair is forming another descending wave. 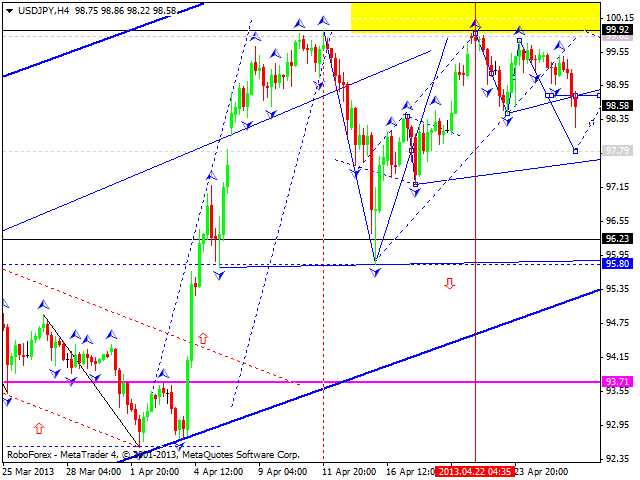 We think, today the price may reach the target of this wave at 97.80 and then start a correction towards the level of 98.70. 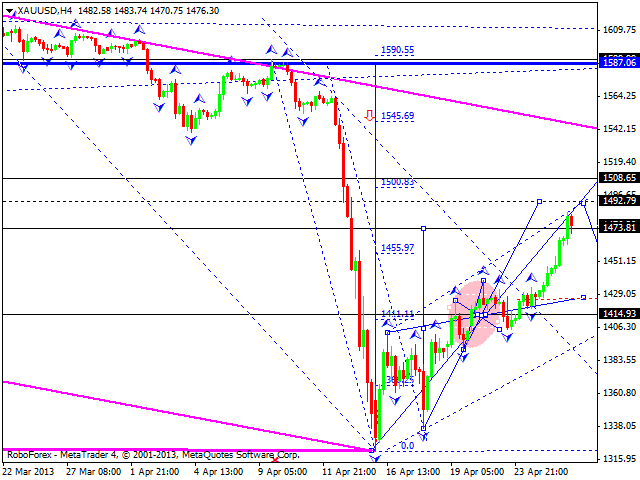 Later, in our opinion, the market may start forming another descending structure with the target at 95.80. 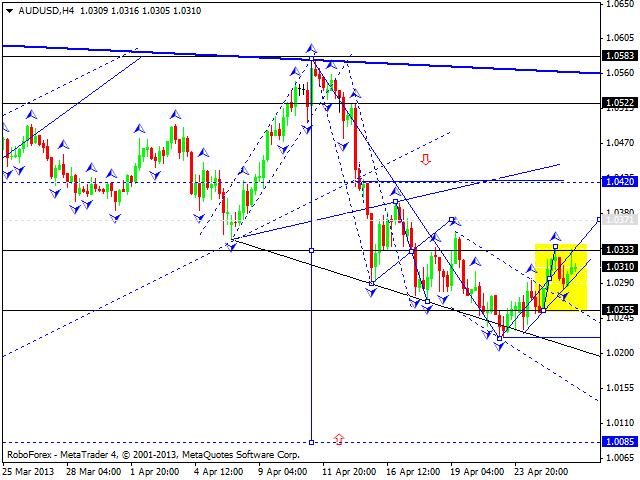 Australian Dollar faced the resistance at the level of 1.0333, which means that the pair may start falling down. Even if the market grows up a little bit and reaches the target at 1.0370, the main scenario will remains the same – to continue falling down towards the level of 1.0085. Later, in our opinion, the pair may form a pivot point to make a reverse upwards and move upwards to reach new maximums. Gold reached a local target an expanded its ascending structure, which means that the instrument may continue growing up and reach the level of 1490. Later, in our opinion, the price may start a correction towards the level of 1415 and then form another ascending wave with the target at 1505.